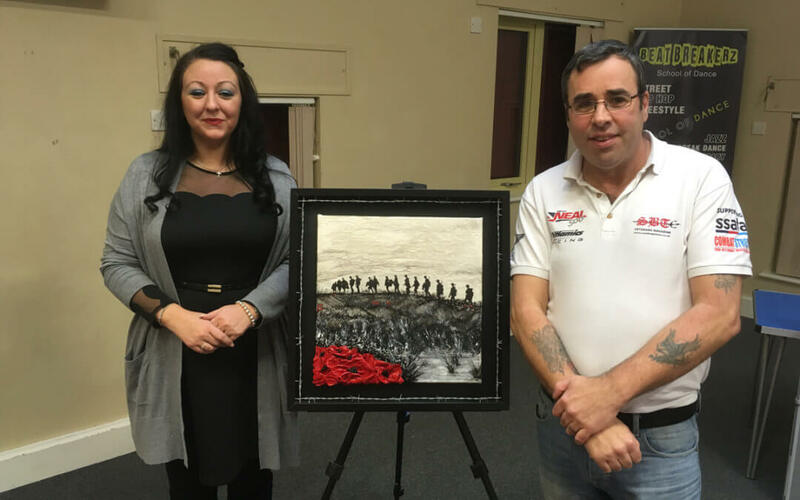 The Tommy Atkins Centre is a veterans support group which opened in Worcester during November 2017. It helps veterans to deal with the many issues they face after they have served their Country. The Centre moved to the KGV Hub is Ash Avenue, Worcester during September 2018 and was officially opened in January 2019 by three times British Touring Car Champion, Matt Neal. The Tommy Atkins Centre is the brainchild of Pablo Snow, the editor of The Sandbag Times Veterans Magazine. Pablo served in the British Army for 22 years and was confronted by many issues including suffering from Post Traumatic Stress Disorder. He now uses his experiences to help other veterans, not only around the community but throughout the country. The centre is ran by Pablo’s partner, Jane Shields who is the first person you meet when wandering through the front door. She greets the veterans with a cup of tea and a friendly chat. This has become an important part of the service for many of our older veterans who just want a little company for an hour and to relive past memories. The centre is open every Friday from 10:00am – 3:00pm and it works very closely with the Worcestershire SSAFA, often seeking advice from their vast wealth of knowledge and sending many veterans to their office for further assistance. For further information visit The Tommy Atkins Centre website.